AutoPortation is an auto transportation brokerage that specializes in delivering vehicles in the continental United States. They have a solid track record shipping thousands of cars with timely delivery and accurate pricing. They strive to provide each customer with quality customer service and reliability. What Can You Expect from AutoPortation? AutoPortation takes shipping cars seriously. Other companies may focus on providing the lowest price, but AutoPortation understands that it is much more important to meet the goals of their customers while providing service at an affordable rate. When Can I Expect My Vehicle to Be Delivered? Normally it takes from 1 - 4 days to dispatch your vehicle and schedule pick-up. Where Will My Vehicle Be Placed for Transport? Customers may choose either an open or an enclosed carrier. An open carrier is the most common and cost effective mode of transportation. However, if your vehicle must be protected from weather and road conditions, an enclosed carrier for additional protection is available. Enclosed carriers are recommended for exotic cars. Why Should You Choose AutoPortation? Door to door delivery from arranged locations. 4 point vehicle inspection on pick-up and delivery. Auto shipping insurance up to $100,000. More for exotic cars. Open transport or enclosed carrier options. 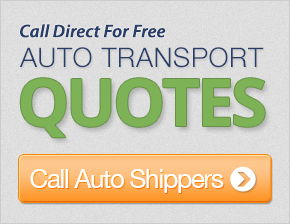 Get a free AutoPortation quote here and compare their auto shipping services and pricing side-by-side with other car shipping companies! Thanks for the great service. My car came on the perfect day. My only complaint is that I should have contracted with you earlier before wasting valuable time, energy, and peace of mind with useless, untrustworthy, confidence organizations like all those other brokers out there. Thanks for being honest and straightforward! I was very satisfied with the service I recieved from you. My rep was very helpful with any questions I had, and the driver was also very helpful during the transport. The price was unbeatable. Thank you. Our customer service rep was excellent. The time frame was great. The truck company was great. Price was just a little on the high side, but I would use you again, as your customer service is worth it. Thanks - a satisfied customer. The drivers were very nice. They were very polite and helpful. Thanks! I was very pleased with the service. Thanks! Our rep had the correct information and answered my questions. My vehicle was delivered in a timely fashion. This was my best experience so far with transporting vehicles! There was good communication and I had a good overall experience. Thanks! Our rep was very responsive to my questions and concerns. He provided excellent service. The car was delivered to my son in Seattle without incident. Thank you! I had contacted another company and waited for more than two weeks for them to pick up my car. You picked up my car in one day. I have been very pleased with my experience. You have great customer service! The driver was very professional and a pleasure to deal with. I had a very good experience! Thanks! We are very pleased with the service we received from your company, and would recommend you in the future. I have dealt with two transportation companies previously, and must say that your company honored your quote and delivered my item in a very timely fashion. I am very happy with your service. I would definitely recommend your company in a heart beat.